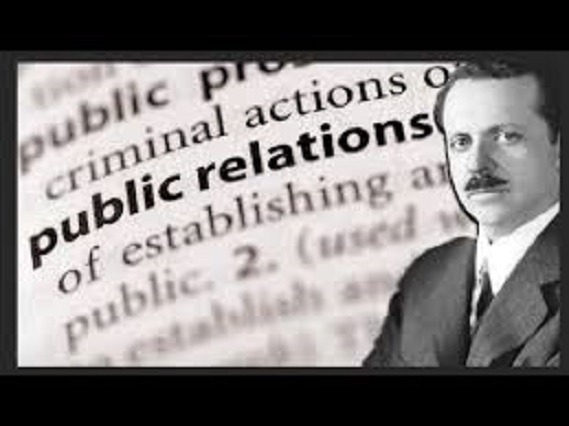 Fittingly, the Propaganda Ministry turns its attention to the granddaddy of all propaganda literature, Propaganda by Edward Bernays. This short book was written by Bernays, a nephew of Sigmund Freud, by way of explaining his own prodigious insight into the manipulation of mass consciousness in the America of 1928. He opens in the first chapter, “Organising Chaos”, with a stark declaration that the “organised habits and opinions” of the masses are formed according to the will of men who effectively form an unseen government. These men mold our minds and our tastes, mostly without us knowing who they even are. Bernays contends that this is necessary, owing to the confusion ordinarily created by the democratic process, with its hundreds of different candidates. People would become confused if they were expected to understand the inner workings of all the issues that politicians are faced with. Therefore, the media narrows things down to a range that can be grasped. Likewise, Bernays claims that society consents to have its choices relating to commercial products narrowed down by way of media propaganda. Because of reasons like these, there is a constant battle going on to capture the minds of individual people. Bernays mentions that it may have been better to have had committees of wise men, who made decisions about the best way to do things. But we elected for the opposite of this. We have free competition of ideas, and in order for this to not lead to chaos we have to allow for leadership and propaganda to direct attention. This can be misused, but it is necessary nevertheless. The advent of mass media has changed the way that the world is organised. At the time of the writing of the American Constitution, the village was the basic unit of society. Thanks to the mass media, it has become possible to be organised alongside people who live thousands of miles away. Our society, instead of being divided by coherent geographical units, is now cleaved by all manner of social, political, ethnic, religious, racial or moral divisions. It is along the lines of these divisions that propaganda is spread. One influential group leader in any of these domains can soon have all the others in that domain following an idea. Bernays labours the point that these cleavages are nonetheless comprised of individuals who exist in several groups, and therefore these groups are all interlaced. This is, in Bernays’s view, what society is. It is how democracy has chosen to simplify its decision making. He summarises the book in the final paragraph of the first chapter. It is to explain how the minds of people are molded in modern democratic society, and how the manipulators of it go about their work. Next Next post: The Trashiest of The Trashy?